A Few Paragraphs: Mazda vs. the Spiders!! "Little guys can do big things too," as they sang once in a VeggieTales video. What? You do not know of these VeggieTales of which I speak? Well then, click on the short video at the end of these paragraphs and enlighten yourself with this snippet of animated vegetable wisdom. But this post isn't about VeggieTales; it's about a persistent little spider who, while doing its spidery thing, is costing Mazda a bundle of money. 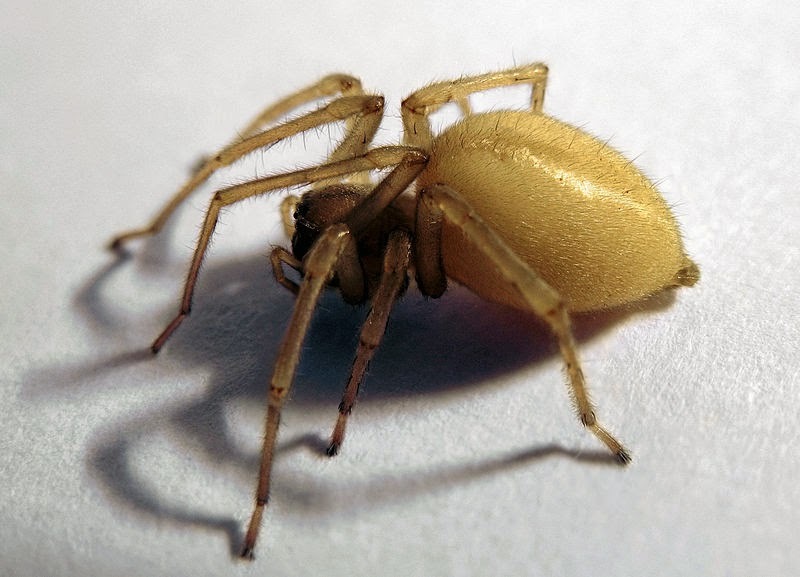 There is a spider called the Yellow Sac who really belongs in Europe and Asia but somehow snuck over to North America, and they spin very pretty webs. They also very, very much love the smell of gasoline. And I can't blame them; I used to like it too when I was a kid. Who am I to judge? So naturally they did what anyone would do: Crawl up into the evaporative canister vent lines on the Mazda 6 and build webs there. Unfortunately this had the unintended side effect of building up pressure in the fuel tank causing them to crack open. Mazda actually had a recall 3 years ago to put little anti-spiders filters in the hoses. But the engineers hadn't counted on their amazing spider sense which helped the intrepid arachnids to evade danger and continue to build their webs like nothing happened. So once again Mazda is recalling all the 42,000 Mazda 6's built between 2010 and 2012. This time they have a clever computer upgrade, possibly written by the renowned Dr. Otto Gunther Octavius that they're certain will defeat the pesky wall-crawler at last! And now ladies and gentlemen, Junior Asparagus!